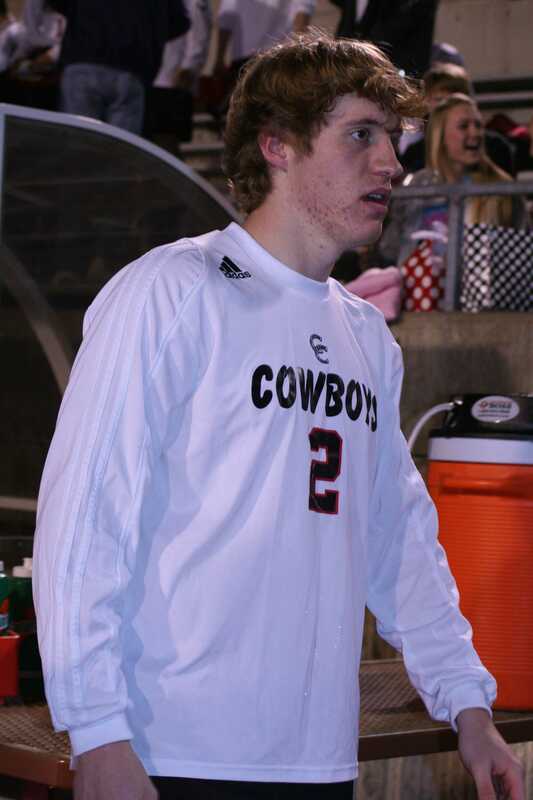 There have been many students who have gone through the Coppell High School soccer program with a sibling following their footsteps, but that path usually ends once the oldest has graduated. Senior Jeremy Lind, however, plans to follow his older brother Josh Lind’s footsteps all the way to Nashville, Tenn.
“At the beginning, I never thought I’d end up where my brother went especially since it was a sports decision,” Jeremy said. Josh Lind, CHS graduate of 2008, made All-District first team and Academic All-State his senior year and was captain for the Cowboys. Although Coppell lost in the bi-district playoffs to Keller, Josh was a great defender and was one of three players to receive a soccer scholarship. “Josh was a dominant player when he was at Coppell and he has had a tremendous college career too,” boys soccer coach Shane Bybee said. After Josh left for Lipscomb University, he left big shoes at CHS for his younger brother, Jeremy Lind, to fill. Jeremy, who plays halfback, is an aggressive player and not just because of his height and weight. Jeremy is one of the leading scorers for the team this year scoring four goals. After seeing his brother start his freshman year for the Bisons, Jeremy started to think about his college plans. Last summer, he officially decided to play collegiate soccer and started looking at schools. The three main colleges he looked at were East Tennessee State University, Central Arkansas University and Lipscomb University. After visiting all three, Jeremy decided Lipscomb University was the best fit for him overall and not just because he knew someone there. With the two-year age difference, Josh and Jeremy never got the opportunity to play on the same soccer team through both club and high school. Now that Jeremy is officially going to Lipscomb, both brothers are excited to finally get the chance. Although Jeremy plays halfback at CHS, he plans on switching to defender next year to be alongside his brother on the field.